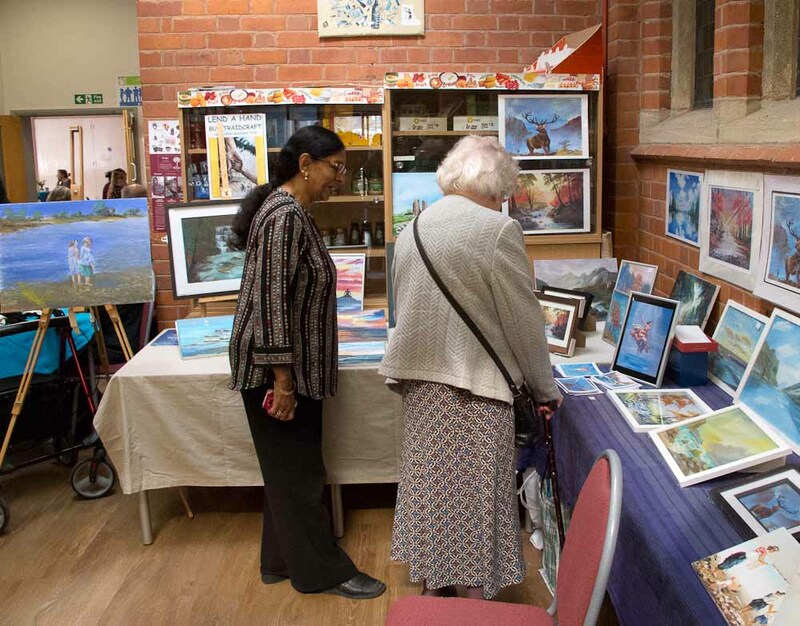 The Summer Saturday art and crafts fair today was well supported and a great success. Despite being the first day of autumn (officially) it still seemed like summer. 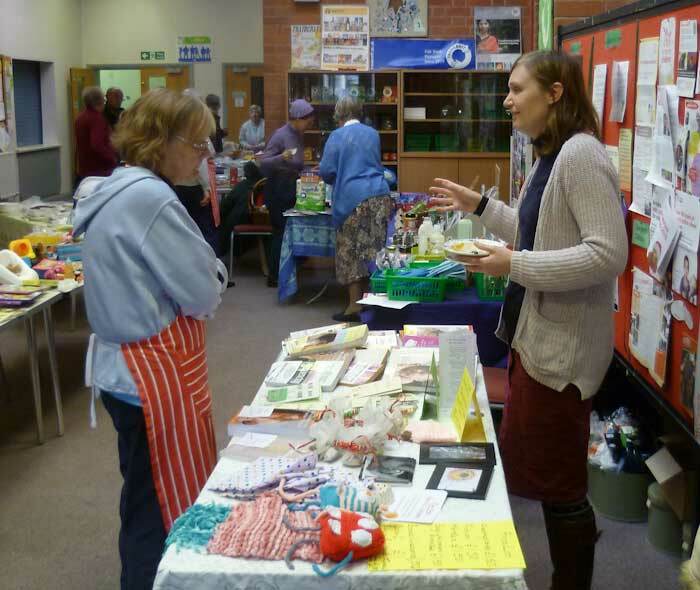 Members of the Wild Honey Tuesday group had been busy making knitted, crocheted and sewn goods for sale, also cakes, bread, jam, chutney and lunches. 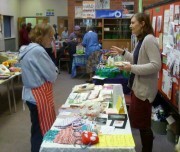 Other stalls had books, CDs and bric-a-brac. Marieko Terashi entertained with her piano recitals. The takings will go to support the work of the Wild Honey project. Update: just heard that £550 was raised. Well done everyone! 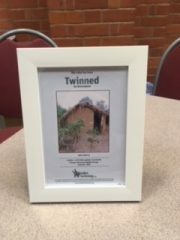 The church’s chosen charity this year is Toilet Twinning (toilettwining.org). We take flush toilets in our homes for granted but 1 in 3 people around the world have no access to hygenic sanitation. This impacts their lives in many ways: frequent illness, children missing school, attacks on women. The Toilet Twinning charity invites us to twin our toilets with a newly built one somewhere else in the world, for £60. Christchurch has 7 cubicles and we have now raised the £420 to twin them all, and have chosen 7 different places around the world. So when we have to go, the certificate on the wall reminds us how privileged we are in Britain. Funds raised during the rest of the year will go to Water Aid (wateraid.org), which is a separate charity with similar aims. 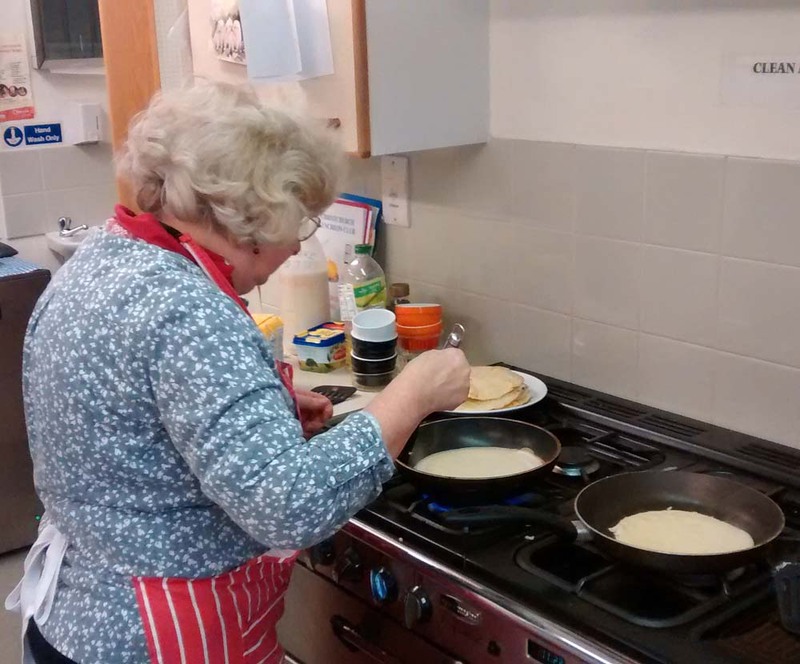 The Luncheon Club met last Tuesday – Shrove Tuesday – so of course they were served pancakes. Total cooked: 72. The target was 100, but we ran out of time, and there were enough for everyone. The cooks had plenty of practice tossing them. 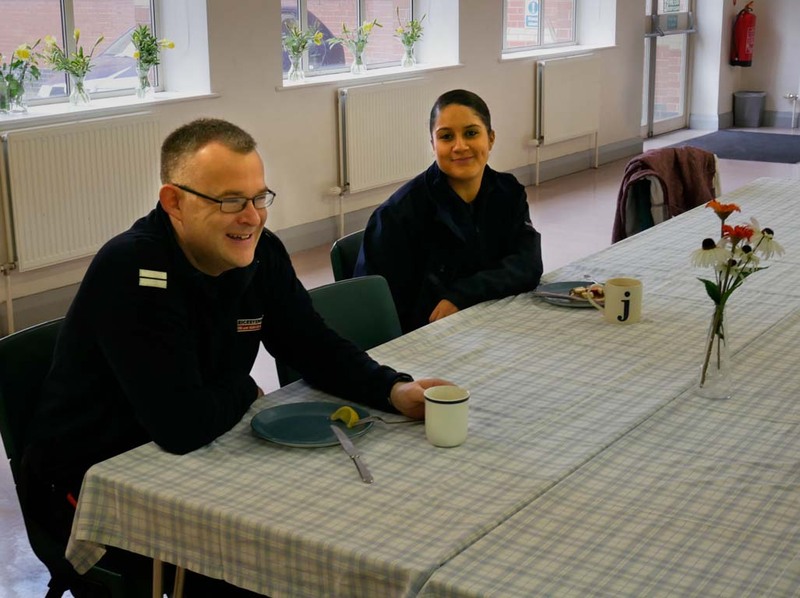 Then on Ash Wednesday Sarah and Shaun invited the crews from the Leicester Fire Station to drop by for pancakes in the morning. I don’t know what the neighbours thought was going on when two fire engines drew up outside, but the crews enjoyed their pancakes, piled high with cheese, bacon, fruit and other toppings (not all at the same time!) Sadly their visit was cut short by a call-out. 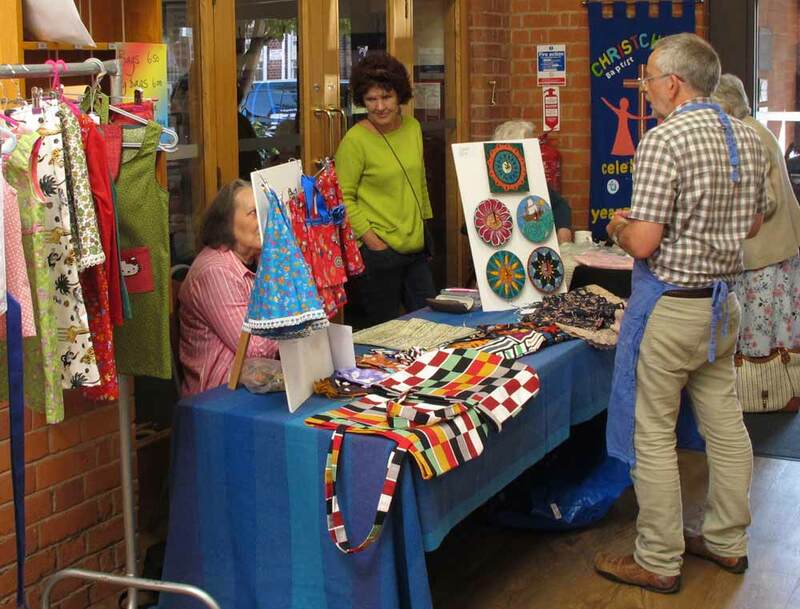 Christchurch has had a Traidcraft stall now for 25 years. In 2016 it had a turnover of £9774. £6321 of this was from sales within Christchurch and rest from supplying other churches and a local college. A total sales of £200,000 is expected to be reached before the end of 2017. Traidcraft is not only a supporter of fairly traded goods, it also works to help people in developing countries to boost their skills and increase their income. Thus they are better able to protect their families from the harsh effects of poverty. Traidcraft also campaigns for justice – over the last two years its ‘Justice Campaign’ has highlighted that some irresponsible British companies are causing toxic pollution, serious injury and even death through their operations in developing countries. So a big thanks to all the dedicated people who run the Traidcraft stall week by week. 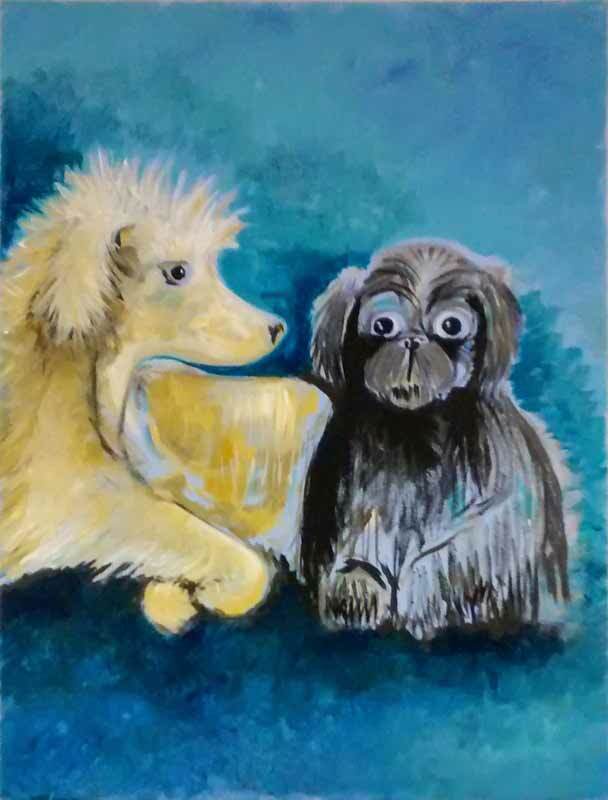 A beautiful painting by one of the Wild Honey Tuesday Group’s regulars. Painting is very popular and we have some brilliant artists. The Tuesday evening discussion group which has been meeting in the Cradock Arms for some years (and in Sansome’s Bar before that) has met for the last time. The group decided it was time to do something new. Just what, has not been decided – one decision at a time is enough. It’s all too easy to get stuck in a rut and sometimes we need to bring one activity to a close, to release energies for a new one. It probably won’t be the last pint in the Cradock though. It was nice to come in out of the cold this lunchtime and have a hot meal in Christchurch at the ‘Lunch Aid’ event in aid of Action for Children. There were also stalls selling homemade cakes, Traidcraft fairly traded goods, a tombola, children’s books, clothes… All the hard work of the cooks, servers and others was greatly appreciated. The Wild Honey project had a great fundraising do at Christchurch last Saturday, with stalls for secondhand books, plants, crafts, cakes, bric-a-brac and more. 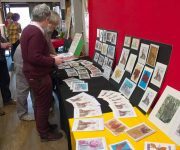 Apart from the money it was an enjoyable social occasion with lots of local people dropping in to browse, chat, and have a cup of tea or a sandwich. The money raised will be used to support the Tuesday Group and the new Keep Up! evenings, which will restart in September.